All the geek things that don’t fit. Just in time for another super-geeky New Year’s celebration, here’s a few awesome nerd-tacular gifts that will be a welcome addition to any end-of-the-year bash! Our first gift conjures up the freezing winds of the planet Hoth – right inside your own tumbler! Not the victory the emperor had imagined. This freezing-cold molded ball of ice is a bit larger than your average frozen space station, and you may need to make a few in advance for the rebel victory party. As always, click the link to see where you can get your scummy hands on one. Are these guys even at drinking age? For those of us who didn’t study dead languages, the translation is Anything Sounds Profound In Latin. Huh. To be fair, most growlers are kinda boring. This super-flexible “freaker” sleeve will slide on over any mason jar, bottle or growler to fit the needs of your favorite lasso-slinging, bullet-deflecting fan. You’d think it’d be a bit more…blue. Due to the various copy right that prevent certain lovely objects from being created, our wonderful phalanx of artists at Etsy have figured out a way to honor their favorite doctor and not break any laws while doing so! This was a short list, but that only leaves plenty of room to expand. Any ideas you’d like to throw in? Just make sure to click on the images to be wafted away to the merchant of your particular geeky delight! Just testing categories and posts. 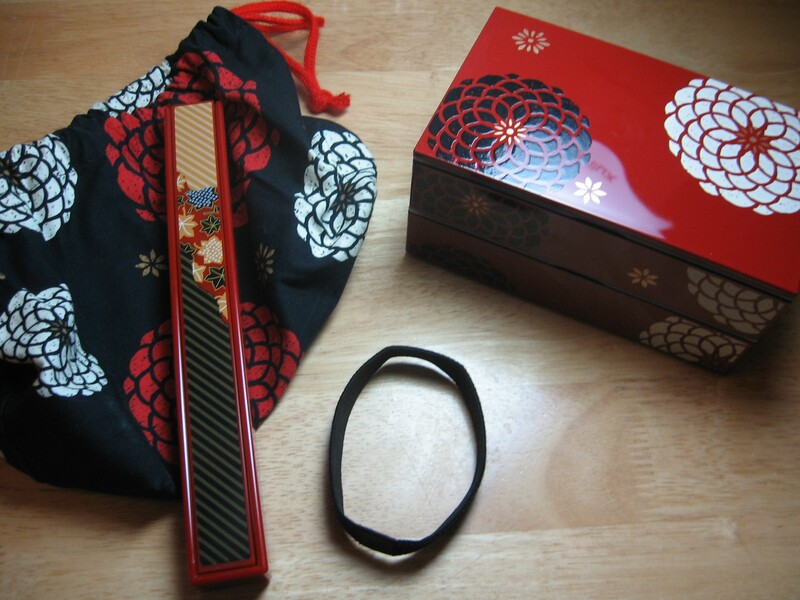 A “bento” is a Japanese style lunch box that has long been the rage of Japanese school children and world-wide Japanophiles alike. In my efforts to start eating a bit better, I decided to buy one. The point lies in the packing of your future repast – you have to actively plan what you’ll pack and how to place it. Since this forces you to take a long bleary-eyed look at all the chips and sandwiches and pizza slices that might not quite fit, and in the long run might lead to your children weeping by your early grave, at the very least it makes you think about what you eat. 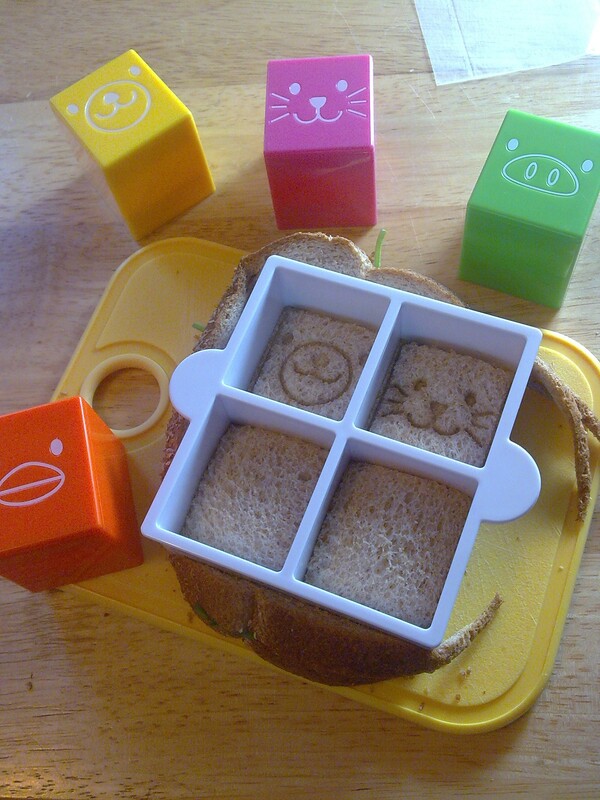 Amazon, through its little aggregate data gremlins, discovered that I liked bento products, and thus began its commercial battle of attrition. 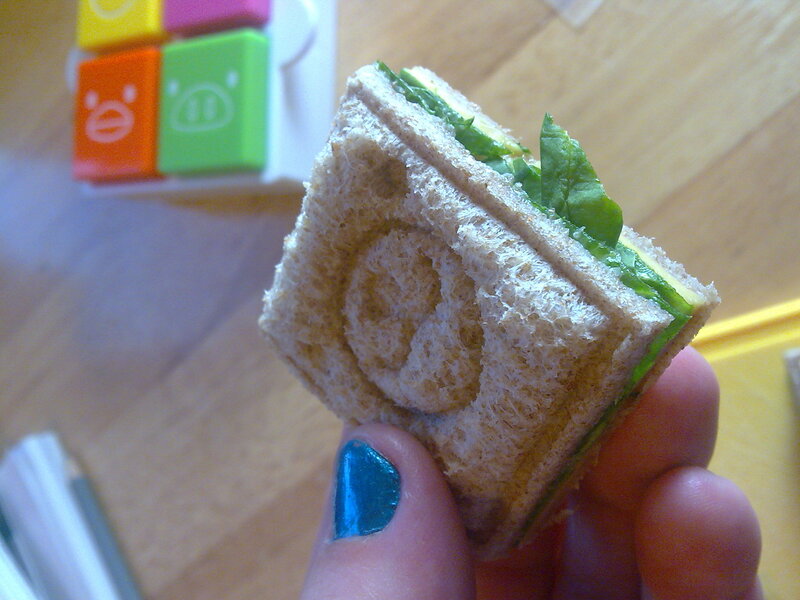 I finally broke and bought a little sandwich cutter a few days ago. 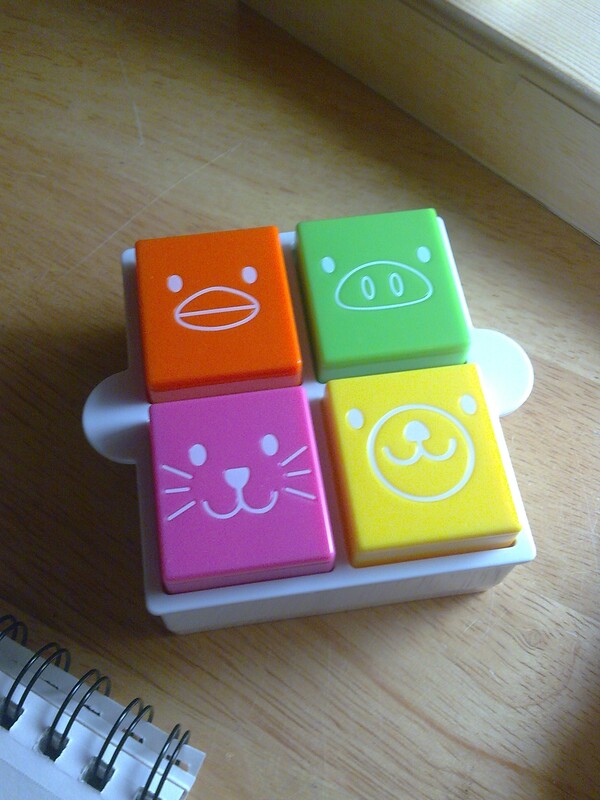 Stamping animal faces should be a form of therapy. Upon forwarding said image to my Mother, she demanded I bring my toy to our next Obligatory Relational Aggregation. I’ve decided to humor her. These things are like one large bite. Of awesome. 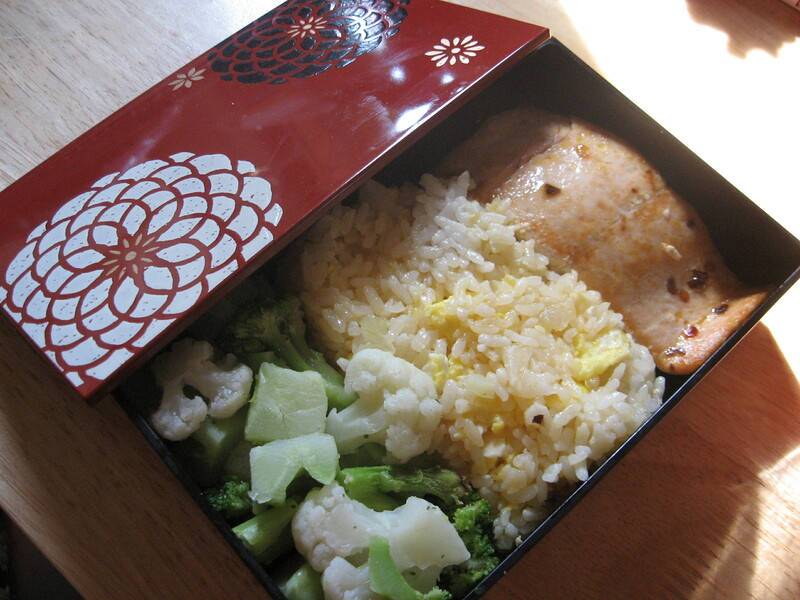 I’ll be happy to pass along more eye-salting posts on bentos in the future.